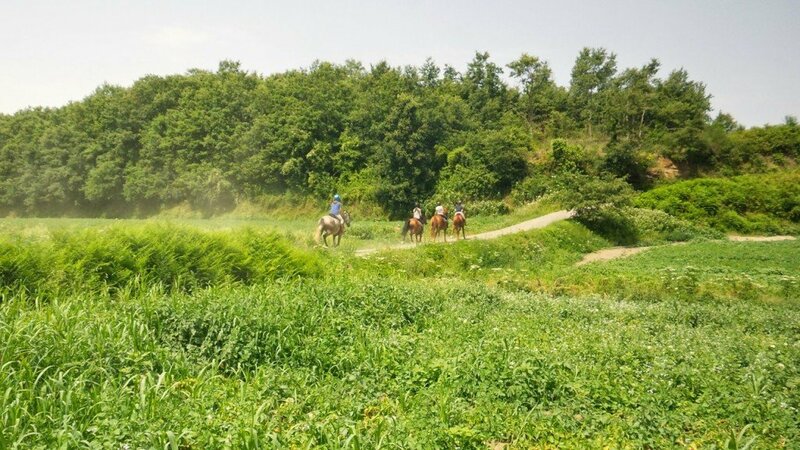 Perfect place to visit if you dream of horse riding through the beautiful Tuscan countryside in Italy. 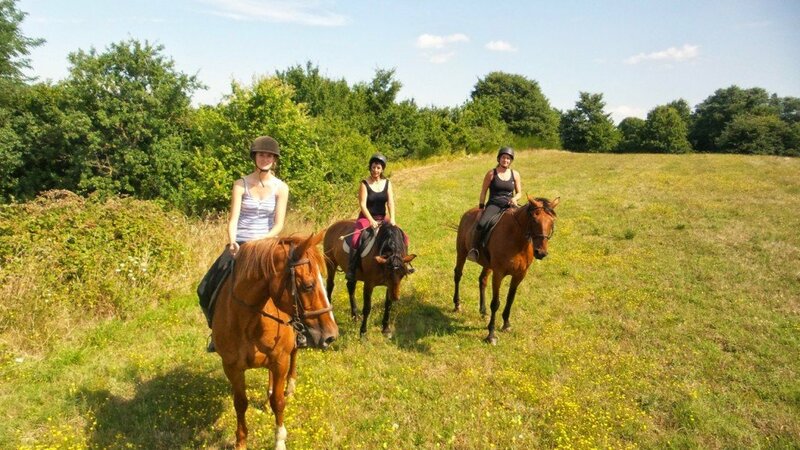 This is suitable for riders, non riders, children are also welcome and depending on their riding ability, they can ride half days or full. High Season is from 18th June to 16th September. 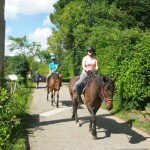 Included – All riding 5 days, from 3 – 5 hours per day, accommodation, full board, a welcome drink and guided tour of the Castle. 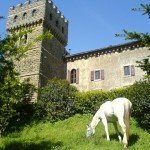 Included – All riding 4 days, from 3 – 5 hours per day, accommodation, full board, a welcome drink and guided tour of the Castle, plus wine tasting at a local cellar, a half day at Sorano’s Termal Baths or if you would prefer to learn some Italian cooking, a 2 hrs lesson with the chef of the castle. 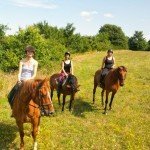 We can also put together personalised itineraries for you, which are a mix of riding and lessons, especially if you are a family of mixed levels. 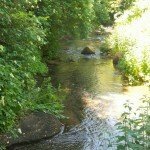 You can also go self catering, there are a couple of lovely cottages with their own swimming pools. New for 2019 is a 7 night holiday, where one of your rides and your partner cycles, and you meet up each lunchtime for drinks and a local meal. Included – All riding & cycling 5 days, from 3 – 5 hours per day, accommodation, full board, a welcome drink and guided tour of the Castle. Please just email with your enquiry to info@zarasplanet.com. Open from 1st March to the 6th November. We recommend you hire a car and drive to the Castle it’s only a 40 minute drive, it’s a glorious region and you should try and explore outside of the castle. Castello di Santa Cristina is a strikingly beautiful 17th century castle, located just one and a half hours from Rome, between the rolling hills of Tuscany, Latium and Umbria. 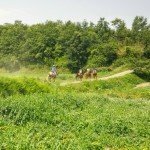 With its fairy tale style turret, it’s a romantic but comfortable setting for those wishing to explore the surrounding countryside and culture on horseback. 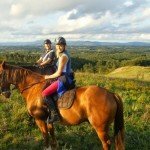 There are miles and miles of trails surrounding this magnificent estate, which are a sheer joy to explore on one of their forward going TB or Warmblood Crosses in the company of a friendly and professional guide. 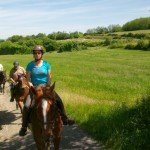 All the trails are matched to the ability and preferences of the riders, experienced riders can enjoy the comfort of knowing that they can look forward to fast canters and interesting terrain on forward-going horses and equally novice riders can enjoy slower paced meanders through beautiful countryside. Your holiday can be as active or sedate as you like or you can choose one of their flexible packages or we can tailor make something to meet your needs. 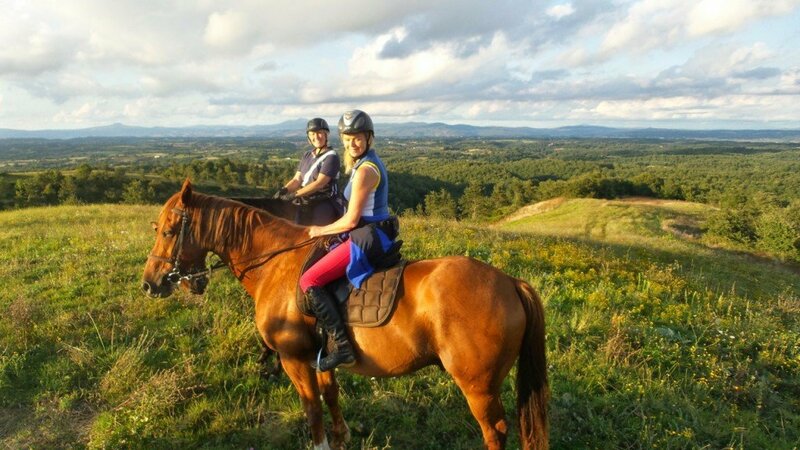 Non-riders can enjoy mountain biking which is another one of Count Antonio’s passions in addition to his horses – there is a selection of bikes (including electric mountain bikes!) with well-marked trails and even the chance to meet up with riders at lunchtimes. 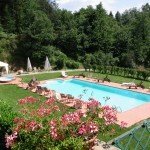 The castle also has a wonderful pool and tennis courts, plus there is a spa nearby and opportunities for wine-tasting, golf and fishing. 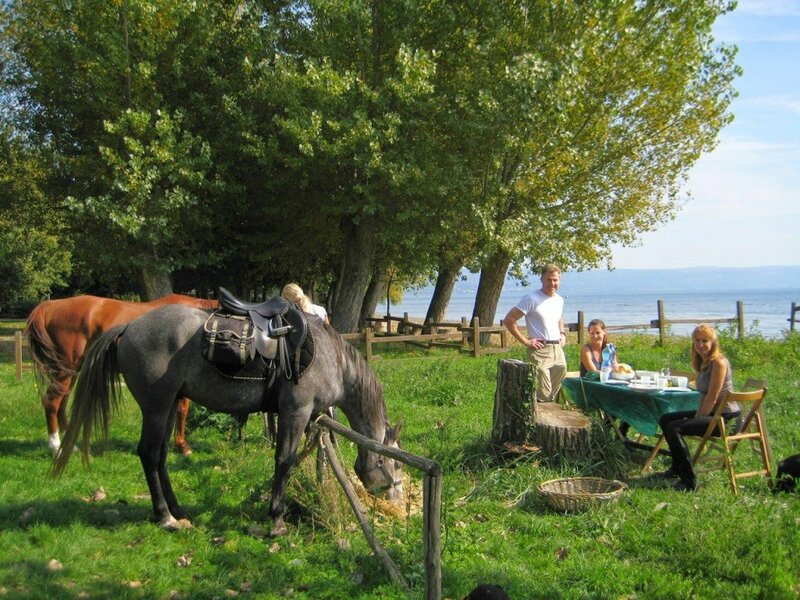 Lake Bolsena is fifteen minutes by car and is host to the carp fishing world championships. 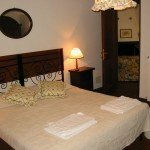 This is a superb base for all sorts of holidays for singles and mixed groups. 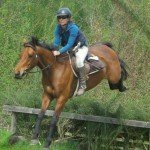 Horses – There are 20 horses currently, a mix of mostly TB Crosses and Warmblood Crosses, ranging from 15hh to 17hh plus some smaller horses and ponies from 13.2hh. They all live out in herds in the large fields surrounding the castle with as much of a natural environment as possible. 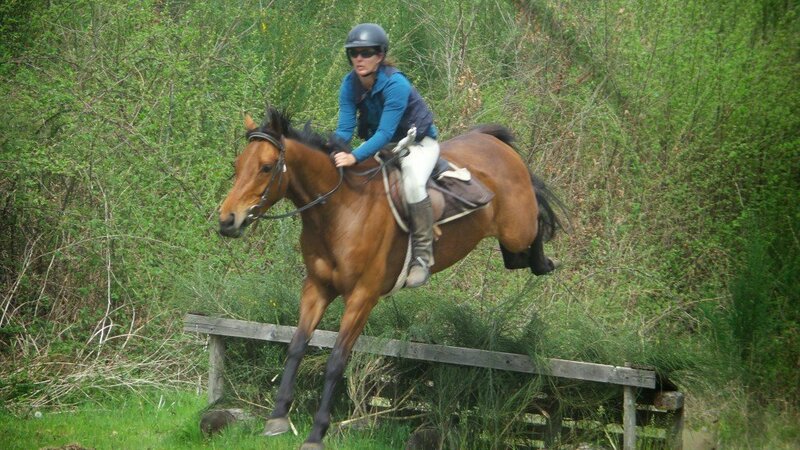 All the horses are bought and trained by Antonio Mancini himself along with his chief Riding Instructor, Kylie Legg. 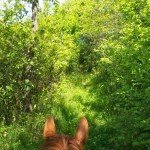 Level of Riding & Pace – Depending on the group and the program, from beginner to advanced. Beginners would start with a specialised program of lessons, working up to a possible ride out. 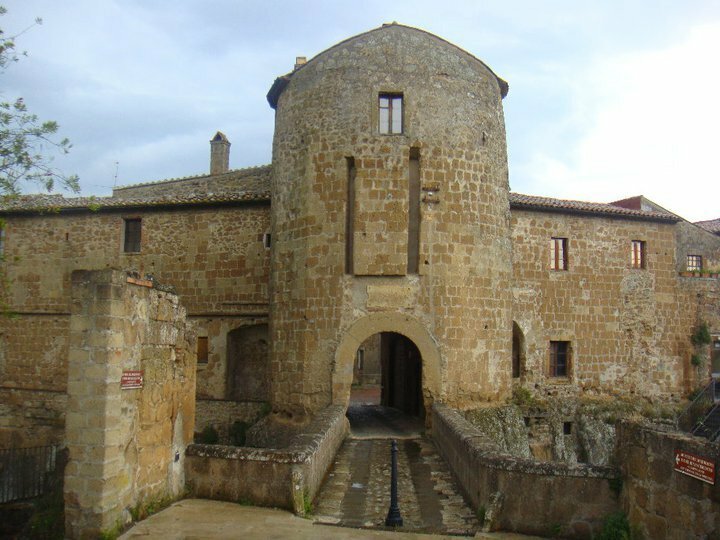 The castle has been the property of the noble Caterini family for generations. It was once the residence of a Cardinal who housed the Vatican’s treasure here to keep it safe during the revolution in 1848… needless to say it is crammed full of fascinating artefacts. 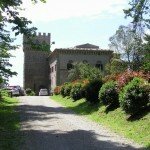 He chose the castle to be his personal residence and now his descendants, Count Antonio and his family, use this enchanting place as their country home. 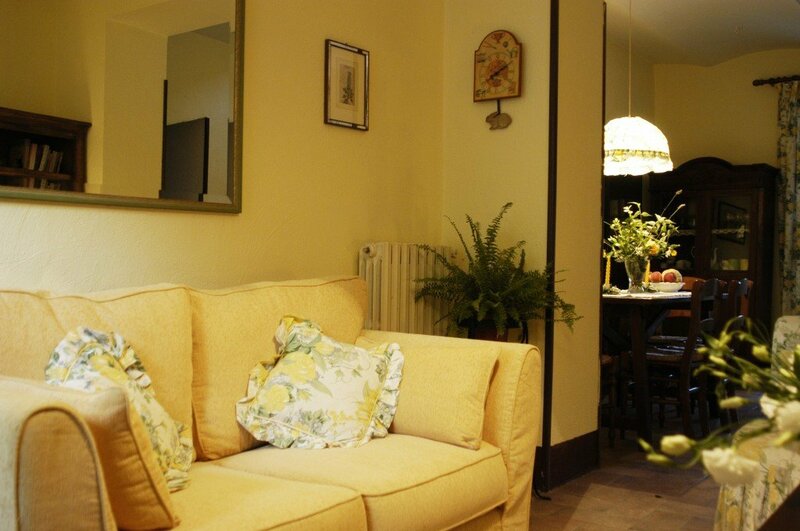 The family have lovingly restored the cottages and main farmhouse, once used by local farmers. 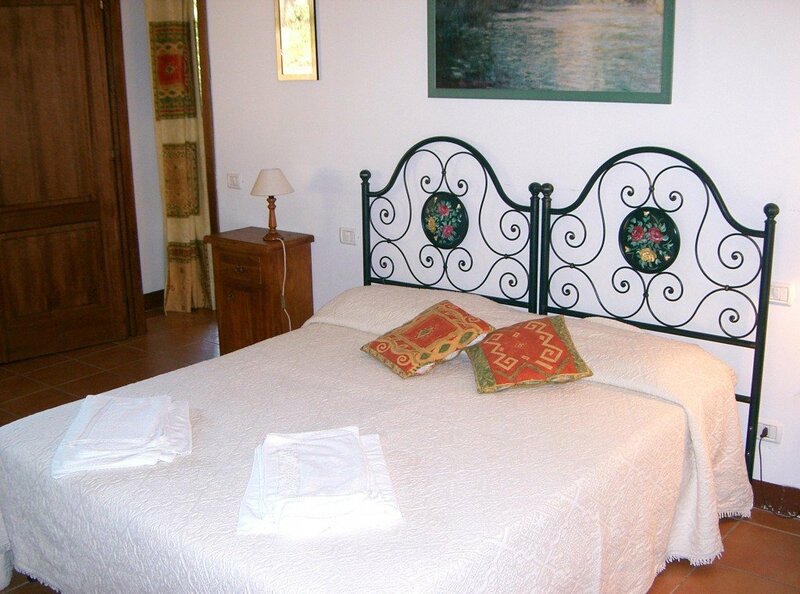 It has become 8 self-catering apartments and 14 twin or double rooms, all ensuite. They are all elegantly designed and in keeping with the old worldy feel of the castle. 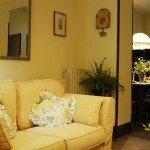 The self catering apartments are all different, and include a kitchen in addition the Marta & Capodimonte apartments share a small swimming pool. The food is freshly prepared and authentic, expect lots of pasta dishes and other Tuscan style dishes – think Ragu Tuscan Chicken & Lasagne! 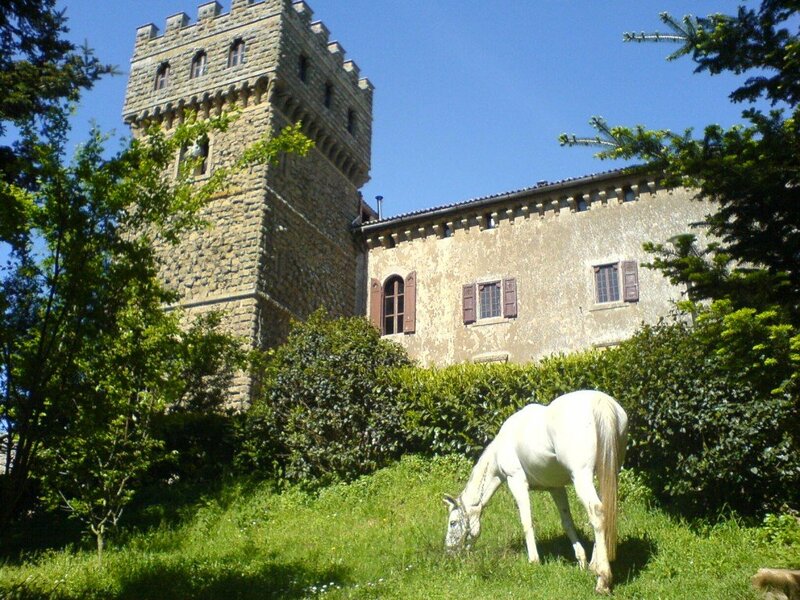 • Sight Seeing – The castle is situated on the Tuscany border and guests can visit one of the largest lakes of volcanic origins in Europe, Lake Bolsena. 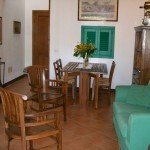 This is a unique and strikingly beautiful area, rich in olive trees and vineyards, charming villages, ancient churches and artistic monuments. 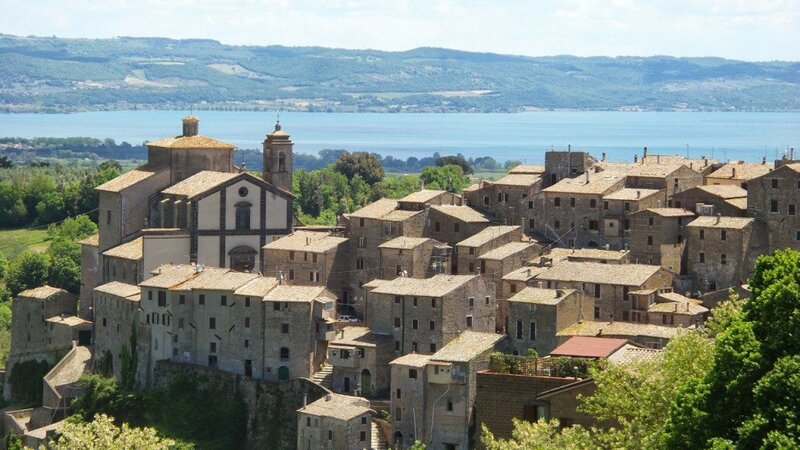 Just 3km away lies a fascinating village of Etruscan origin, set deep into the hillside, so there is plenty to be explored! 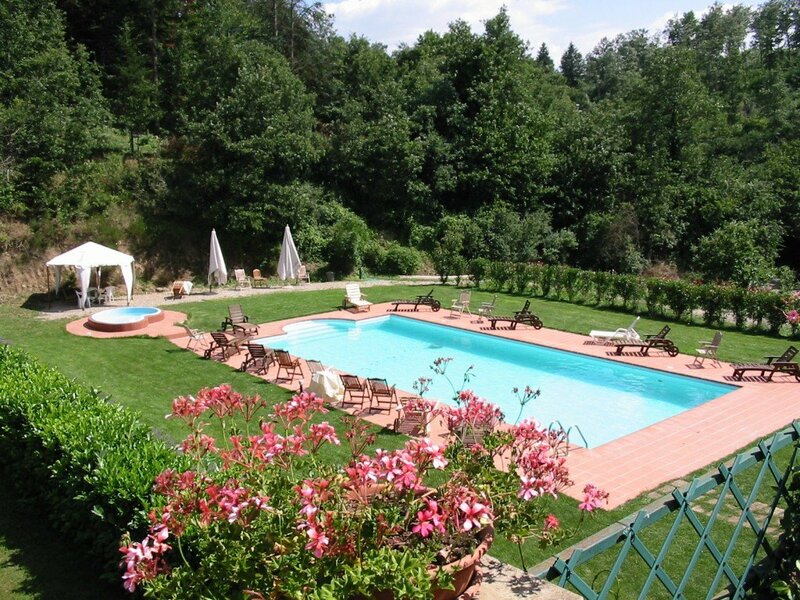 • Thermal Baths & Spa – Just 18 km from the Castle, near the village of Sorano, there is a SPA. You can swim in the warm waters under two waterfalls, where you will enjoy a natural Jacuzzi. You can also book a massage or other treatments in the spa next to the pool. 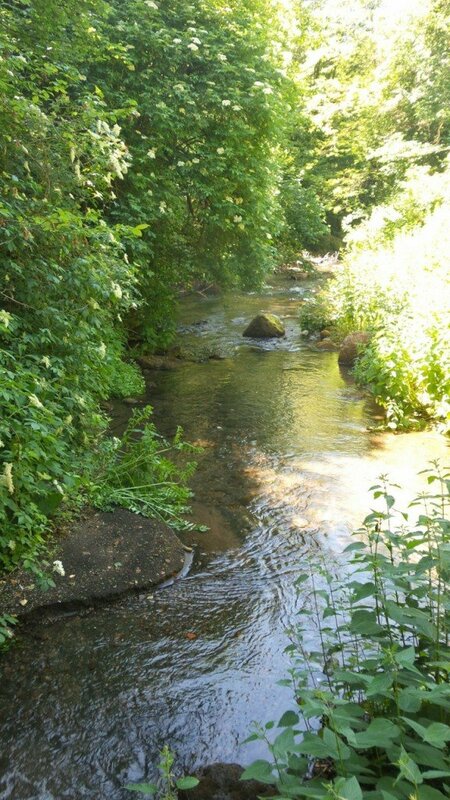 The waters flow from a natural spring at 37 ° C. Daily rates are 14 Euros or 8 Euros for a half day, spa treatments additional charges. 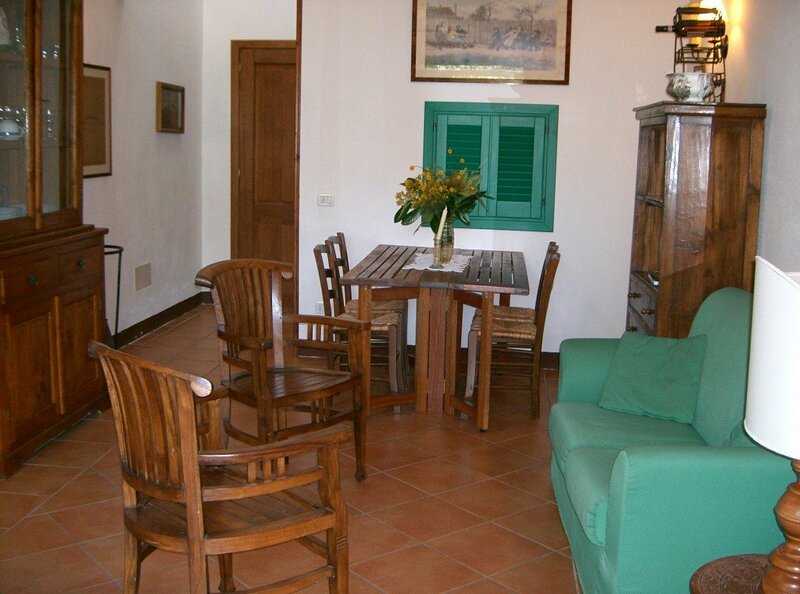 • Wine Tasting is available at 15Euros per person, a visit to the local cooperative vineyard cellars of Pitigliano. 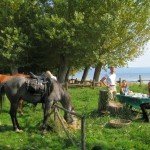 • Rent a Boat – Lake Bolsena, the largest volcanic lake in Europe has a perimeter of 60 km and a depth of 170 meters with two beautiful islands. A fantastic place for water sports or to rent a boat. On the beach of Capodimonte, an enchanting and ancient village set on a cape dominated by a fortress, you can rent a boat and visit the islands, immediately in front of the beach, or wander through the crystal clear waters of the Bay of Capodimonte pushing a pedal boat. Price on request. • Golf – Just 10 km from the Castle GOLF CLUB ACQUAPENDENTE a par 3 golf course currently 9 holes from next year 18 holes. Here you can receive lessons with an instructor on the driving range, putting green and pitching green. Or play directly on course designed specifically to test even the most experienced players. Price on request. 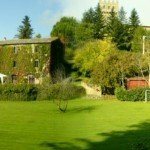 • Football – In a country like Italy, where football has become over the years an important part of the culture, the Castle of Santa Cristina has a large green lawn, next to the main pool, where there is a mini football pitch, ideal for the enjoyment of children and adults. Memorable matches get under way at any time guests are ready, turning the place into a small stage for your personal Champions League. • Tennis – The tennis court with synthetic grass, is located just off the pool with the castle as the beautiful setting of your entertainment. If required, tennis balls and rackets are available 10 Euros per hour. 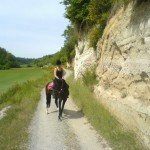 Upon arrival in the afternoon you will check in and enjoy a welcome drink at the castle & briefing with your guide/instructor about riding and accommodation details and choice of the horses for the next few days. This morning on your first ride you will ride to the hills surrounding the castle. 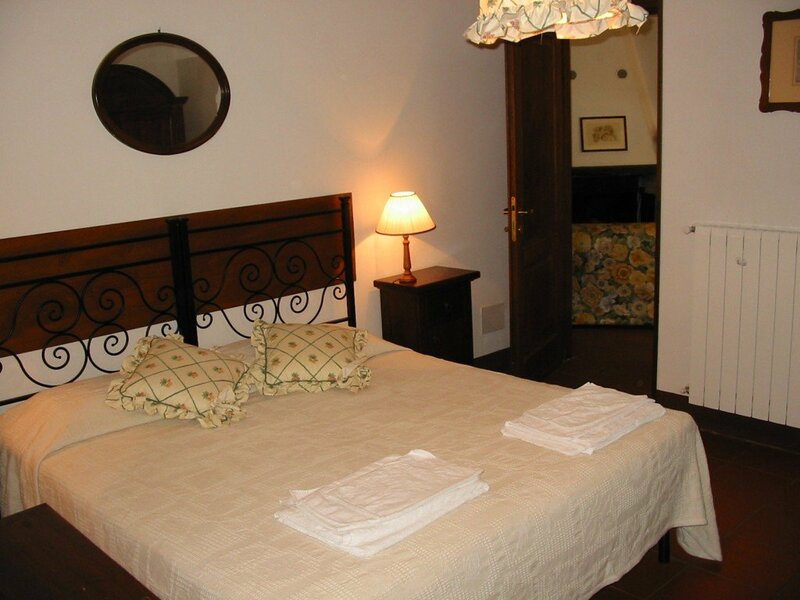 A fantastic spot for a breath taking views of the area, going from the beautiful crater of Lake Bolsena on one side to the hills surrounding the lake Mezzano on the other. 18km. Today we follow an old track before reaching the hills to the west. 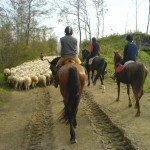 We ride through the chestnut woods up to the clearing and again, experiencing fabulous views from the beautiful crater of lake Bolsena to the hills of the Mezzano lake. 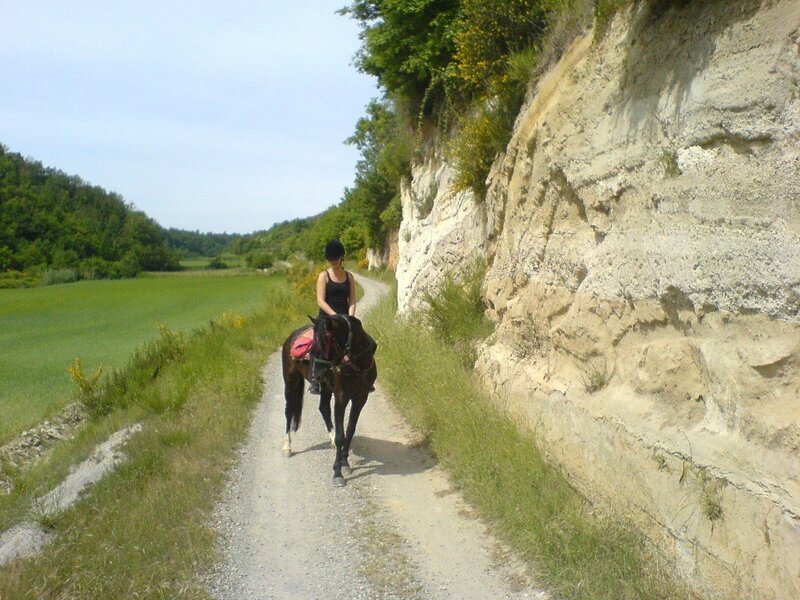 We canter off, following the old track, crossing fields and through vineyards. We stop for lunch at a magical lake, enjoying fabulous food at a rural restaurant. If it’s warm enough, you might want to go for a swim! Afterwards we ride back through the woods.30 km. 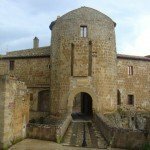 Today we head north through the hills, the beautiful scenery of mountains in front of you will open onto a nice track which will take you around Onano, a fortified village with a medieval castle. 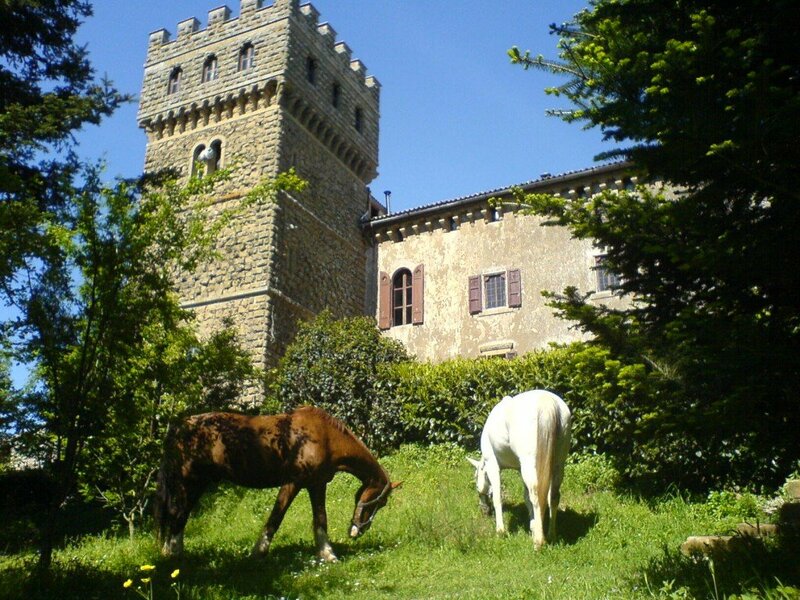 Centuries ago, it was an important stronghold of the Monaldeschi family who ruled this area during the middle ages. 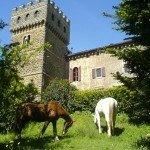 Once at the little medieval church Madonna delle grazie we will follow the track north through enchanting countryside back to the castle. In the afternoon after lunch at the castle, we cross the hill overlooking the castle with a fantastic landscape framing the background. Mount Amiata, the Radicofani fortress and the castle of Torre Alfina. 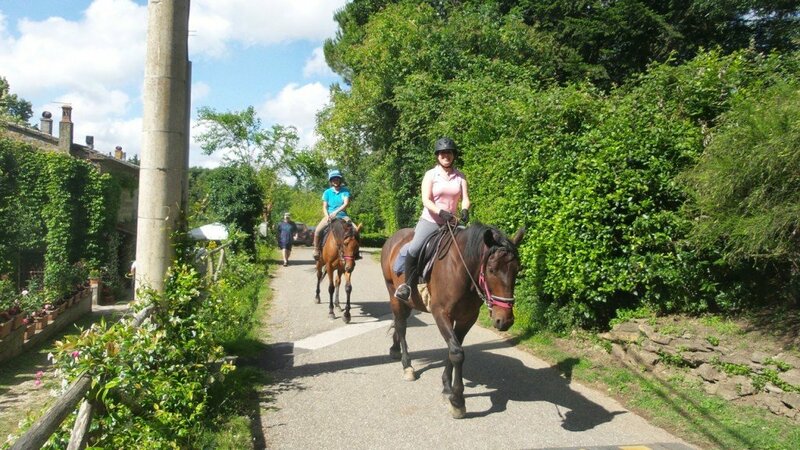 The road turns to the left and after a while the horses can be pushed at a canter on the soft but steady ground between the chestnut woods. 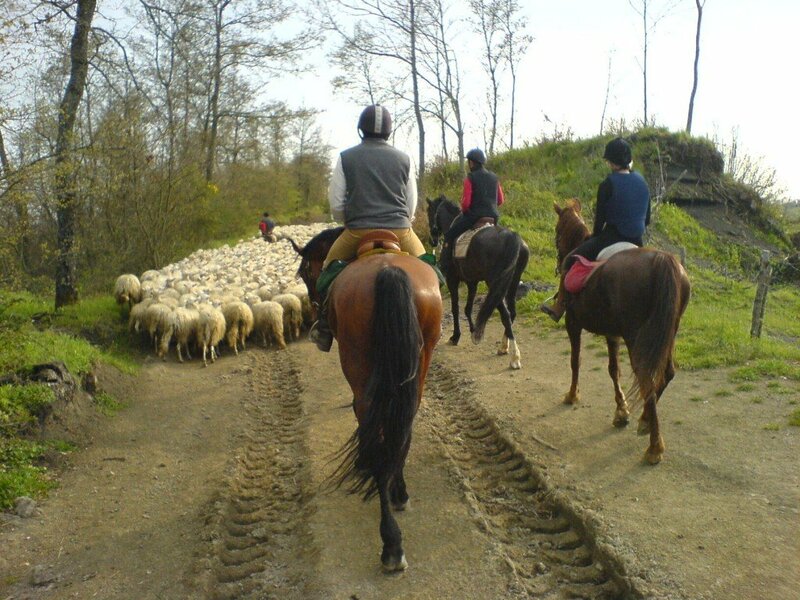 After a few kilometres the woods give ground to the pastures full of sheep, there you reach S.Luigi a dairy farm where fabulous ricotta cheese is produced. From there the old estate track will takes us back to the castle along the hills. 20 km. Today we follow an old trail down through the crater of lake Bolsena, the biggest volcanic lake in Europe. Here and there, scattered around the countryside, archaeological sites with Etruscan tombs will remind you how old the beautiful land is. Lunch is at a great local restaurant by the lake. After you can enjoy a swim if it’s hot enough, before getting back on your horse and riding past the magnificent Farnese renaissance palace in Gradoli while crossing the village. Once at the top of the crater of the lake an old track through the woods will take us back to the castle. 30 km. Today is a day off, there is lots to do and see locally to the castle. 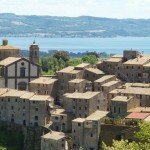 There are archeological and historical sites, village fortresses of Pitigliano, Sorano, Sovano and there’s the marvellous Italian gothic church of Orvieto - Civita di Bagnoregio, called the ‘Dying Town’. Or you can just chill out at the castle, enjoy the pool area and relax. 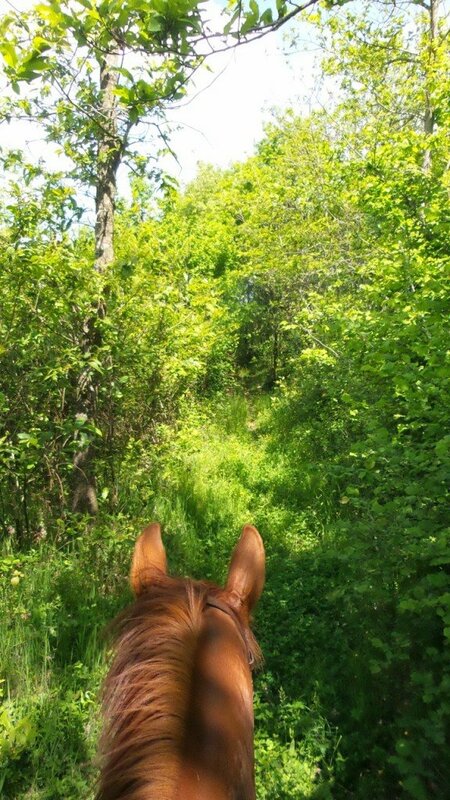 Today we follow an old Etruscan trail and ride up through thick woods to the top of the crater surrounding lake Bolsena. 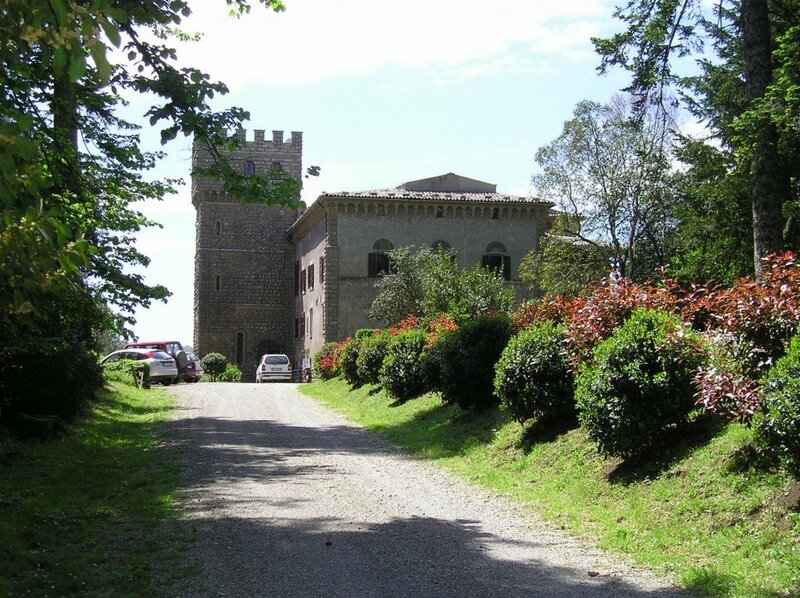 We’ll enjoy amazing scenery including vineyards, Etruscan tombs, the prominent volcanic lake and the panorama dominated by the famous Farnese palace in Gradoli, a gift made by the Pope in 1500 for his nephew for his wedding - what a present! 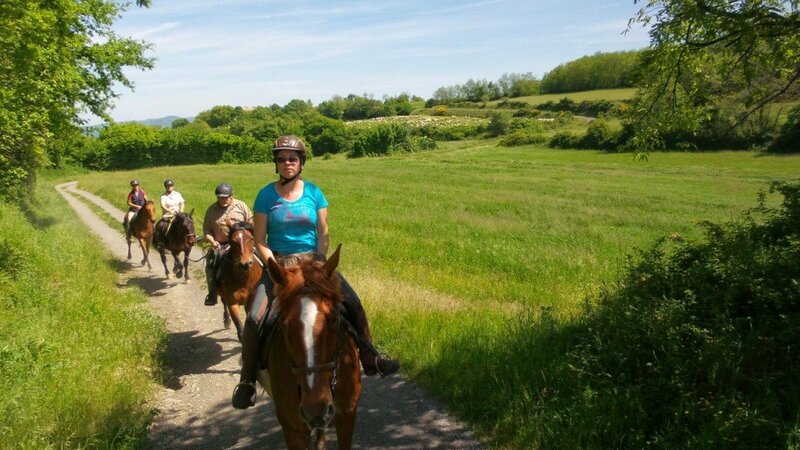 We return to the castle riding through the vineyards, vegetable gardens and enchanting woods.